A couple of weeks ago I went to sample the new menu at Brewdog in Manchester. 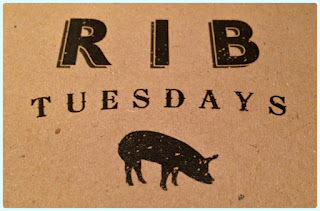 3TwentyOne saw my tweets and suggested we go and check out their Rib Tuesday. Rude not to. A couple of days later I was chatting to my friend Jenny about organising a little catch up. 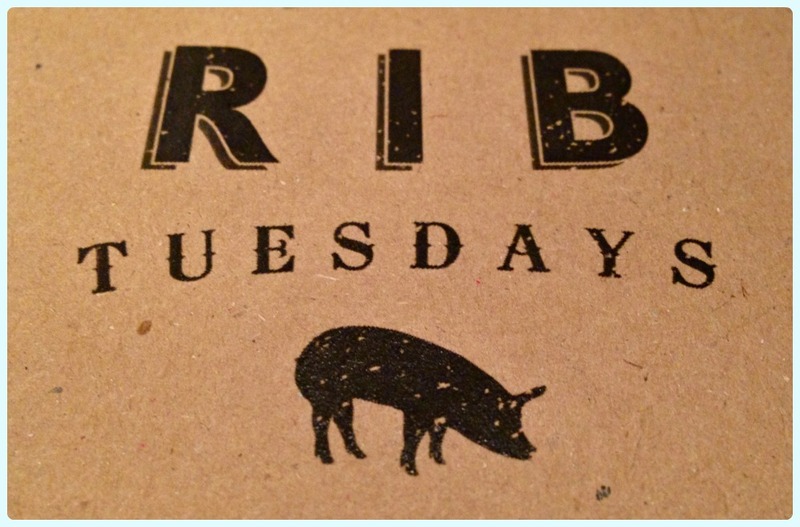 One thing led to another... next thing we know six of us are in 3TwentyOne pondering that age old question... bourbon BBQ, honey jerk or redneck? 3TwentyOne smoke their ribs in house and then offer you one of three magnificent glazes. Having difficulty choosing, they even gave us sample pots to help us decide. 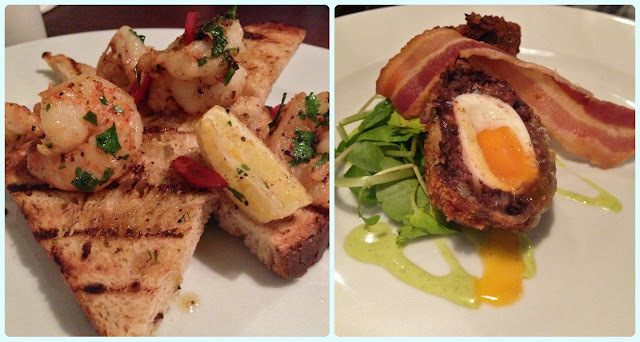 Whilst waiting for our boxes of meat, we nibbled on a couple of starters; two Manchester eggs and a portion of the barbecued king prawns. Our egg was a little overdone on our last visit, but this time it was perfect. 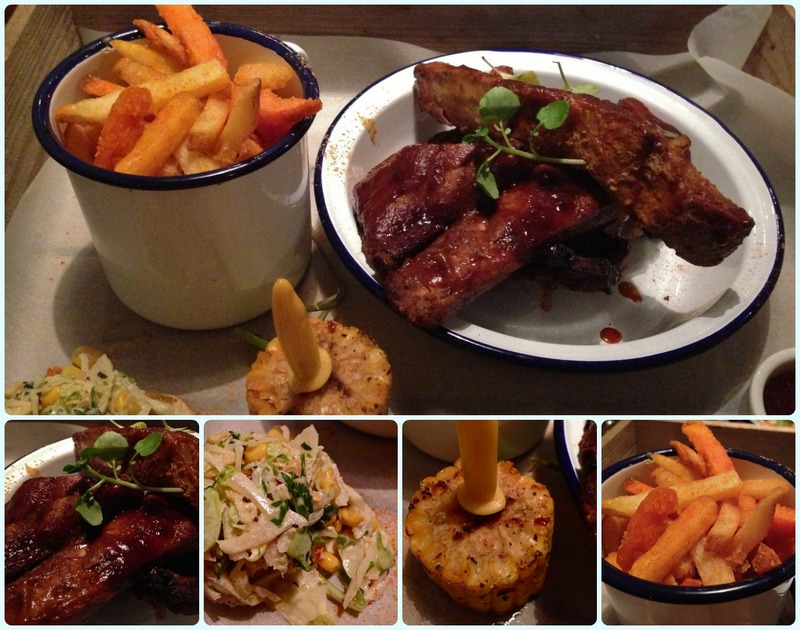 Your box of goodies includes a generous portion of ribs, mixed fries, house slaw and a sweetcorn lollipop. The ribs are huge! I had the bourbon BBQ coating which was wonderfully sweet and sticky! I have now successfully come up with a formula which allows me to eat ribs without getting them all over my hands and face - hold with only two fingers on each hand (think pincer) and eat from one end to the other. Magic. Some were a little bit on the dry side, and maybe needed a little more sauce. The fries were fantastic as was the tangy slaw. We didn't stay for pudding as we wanted to nip for a quick one in Brewdog before our train home. All in all, a decent mid week treat for £9.95, but they need to bear in mind that they have some serious competition up the road.